Beaten All-Ireland finalists Cork leading the way with six players the highest number of representatives on this year’s team selection. 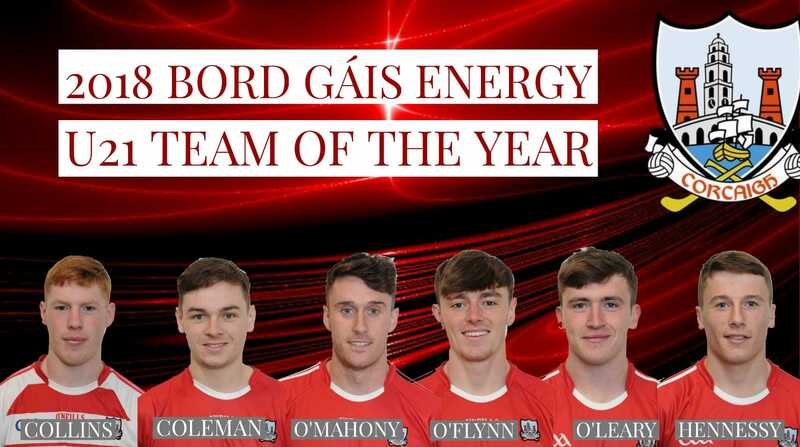 There are four nominees for the 2018 Bord Gáis Energy U-21 Player of the Year which includes Cork's Mark Coleman. The winner will be announced at the Gala ceremony which takes place at Dublin’s City Hall on Friday, October 19th. The Team of the Year and Player of the Year winners are picked by a panel of judges chaired by Ger Cunningham, Joe Canning, Ken McGrath and TG4’s Micheál Ó Domhnaill.